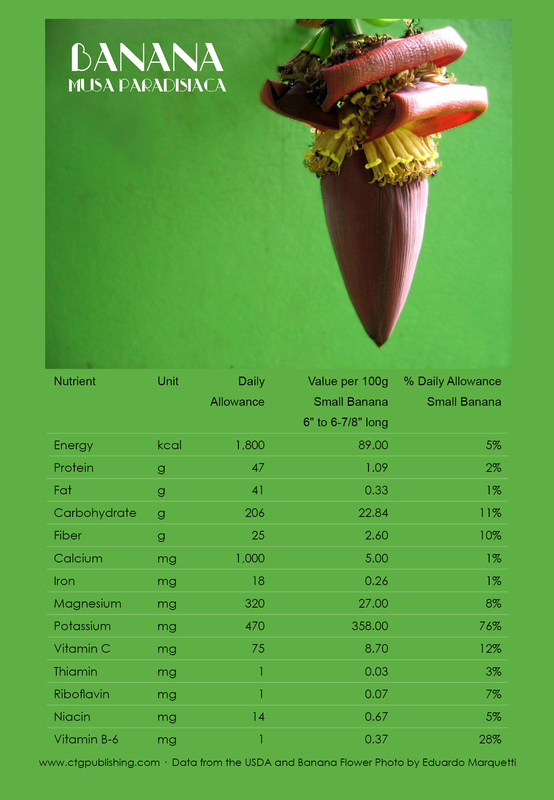 This fruit is high in potassium providing 76 percent of the daily allowance. The vitamin B-6 provided by this fruit equals 28 percent of the daily allowance. 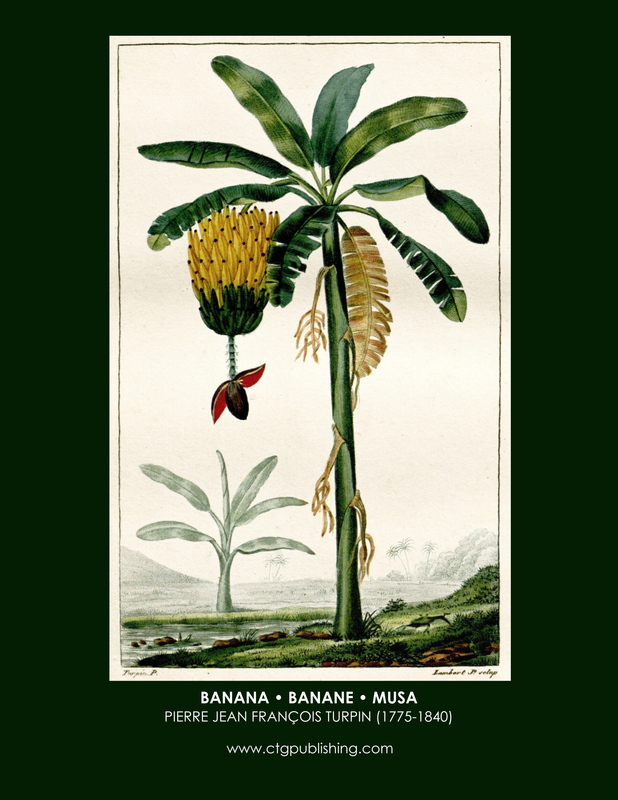 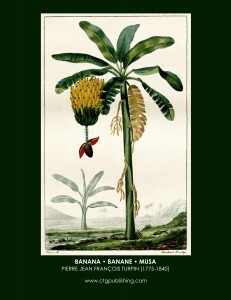 Below is an image of a banana tree flower and some botanical prints of banana trees and fruit. 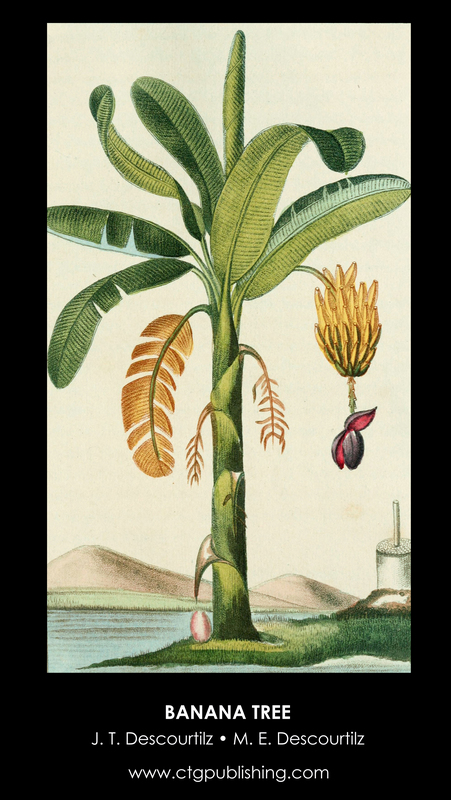 Arboretums with tropical sections will typically have at least one banana tree and you can call ahead to see when this tree blossoms. 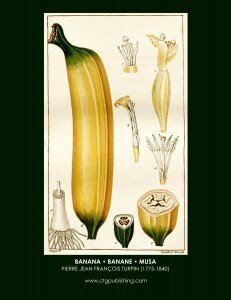 In some countries these are used as a culinary ingredient. 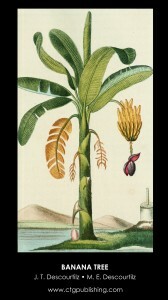 I've seen these at the Fullerton Arboretum, Phipps Conservatory, and the Atlanta Botanical Garden.